H. L. Burke sent me a copy of Beggar Magic to review! As I loved her Dragon's Curse series (by the way the first book is free on amazon right now!) I knew I had to read her next creation. To be honest, I'll probably read everything she writes. I'm hooked. 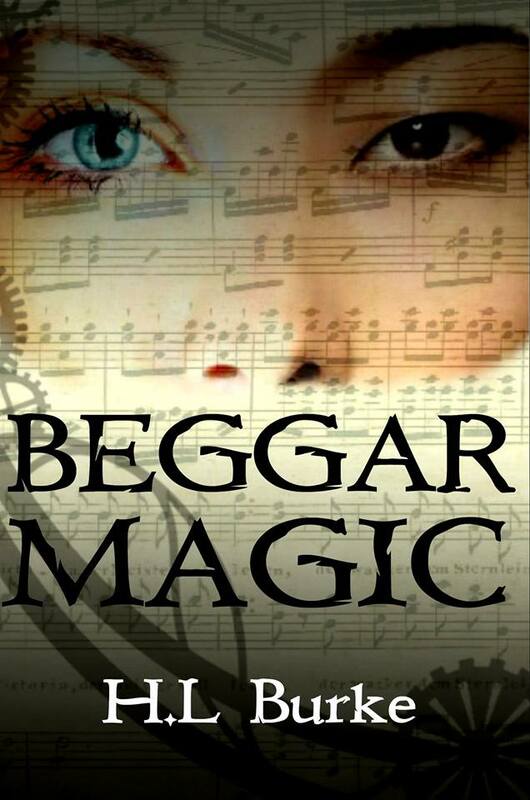 Beggar Magic is a standalone novel about two girls and, well, beggar magic. My favorite character is Zebedy, a teenage Highborn who can hear all sorts of voices in the Strains. I imagine she looks somewhat like this, although probably not as pregnant as me. Or as almost-30. You know, I never realized how intricate a steam-puck outfit really is. I'm not really into that genre so it took a bit of rummaging through my mostly hippie and kawaii wardrobe to find something I thought fit. And I crochet myself a little steampunk hat! As I took these cosplay photos, I thought about what it would be like to be always surrounded by music as the magic in the book is auditory. All the time. Just some type of music, or voices jabbering on. I think I honestly would go a bit mad. Pick up a copy of Beggar Magic if steampunk fantasy novels of the young adult persuasion are your cup of tea. You won't be disappointed! It's a good read.